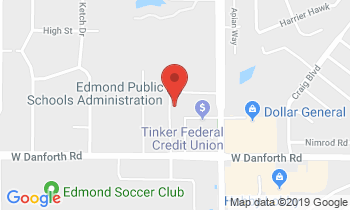 To help meet the needs of working parents, Edmond Public Schools offers Before/After care at all of our elementary schools. Our goal is to provide a safe, healthy and fun environment while meeting the needs of your child in your absence. Our programs are staffed primarily by school faculty/staff and service is provided to children enrolled at district schools. Before/After care opens at 7 a.m. every day and children must be picked up by 6 p.m. Late fees are assessed if children are not picked up on time. The programs run in conjunction with the Edmond Public Schools academic calendar. Programs are closed during all scheduled breaks, including snow days. Some schools are currently operating on a waiting list for the Before/After program. For specific program prices, activities and other important information, visit your child’s school website or call the school.